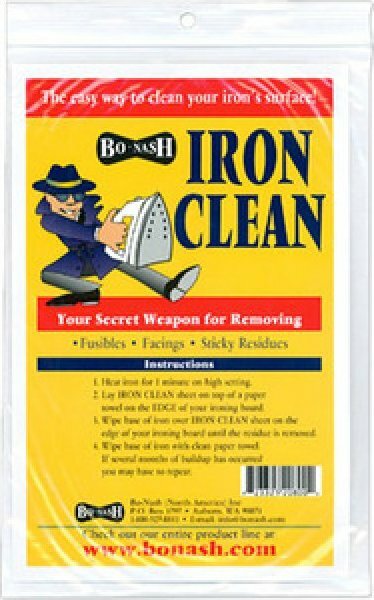 Bo-Nash Iron Clean sheets. Package contains 10 sheets of this amazing cleaner. This stuff saved a silk blouse from getting ruined by a gunky hotel iron. I cleaned it up so I could iron my blouse. Each sheet lasts through multiple cleanings.